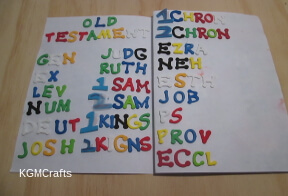 Bible crafts for kids are great for learning. Use them for teaching Sunday school, VBS, or while homeschooling. Each project comes with facts and where to find the story in the Bible. Oh, and by the way the activities are quick and easy. Was it Moses or Samson with the long hair? Your child will soon find out. 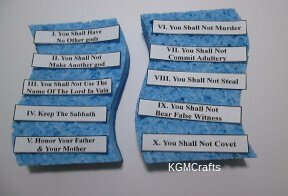 All you have to do is read the story in the Bible then do the crafts. Soon your kids will know about the great leaders and events. 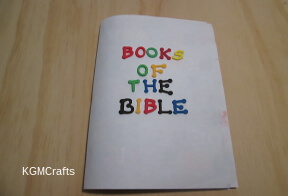 The pictures will take you to fun and informative Bible crafts for kids. 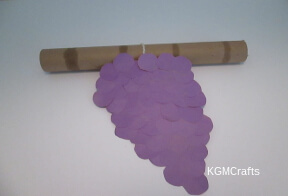 Here are two Bible Crafts for kids that will help you learn about the book. 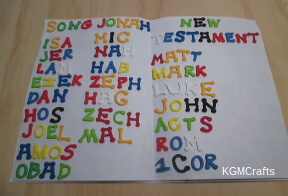 Memorizing Scripture can be fun! 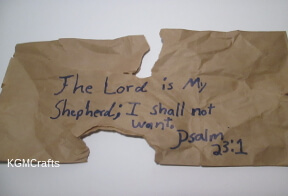 Let's write a verse on some old looking paper then put it in a pot. You can tell your children about the Dead Sea Scrolls. The scrolls were found by Bedouin shepherds and archaeologists (according to Wikipedia). But unlike the scrolls in the caves of Qumran, your child will want to look at their scroll every day. So they can remember the verses. 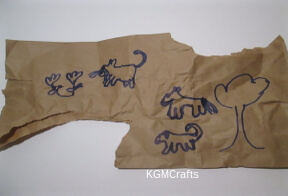 Wad the paper lunch bag up and rip the sides so that it looks old. Write a message on your lunch bag. A great idea is to write down a memory verse. Leave a top and bottom border. Younger children can draw a picture. Maybe something from a Bible story. 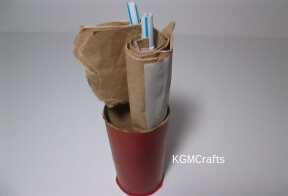 Tape the top and bottom on one side of the lunch bag to a straw. 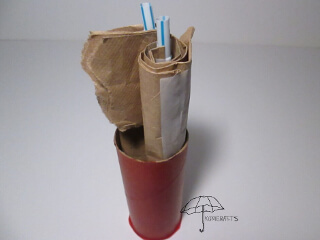 Cut the straw so that it measures about 6 ¾ inches. It will fit better in the pot after you cut it. Do the same to the other straw. Roll the top and bottom to the center. You will be able to unroll it anytime you like. However, when you're ready to put it back in its pot below, remember to roll it back up. The glue paint will look shiny like glaze that is used on pottery. The picture shows the difference. 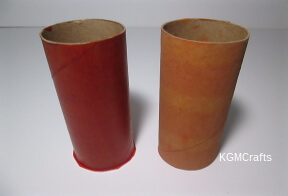 The first container is painted with the glue the second one is painted with washable paint. 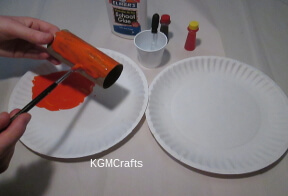 So put some white glue on a paper plate. Add about 18 drops of water using the eye dropper, so that the glue is thin like paint. Add 2 drops of red food coloring and 3 drops of yellow to the glue to turn it orange. Mix the food coloring and water in the glue. 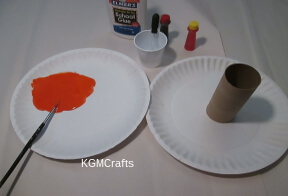 With a paintbrush paint the glue on the cardboard roll. Let dry on a paper plate. To make it darker you can paint a second coat. 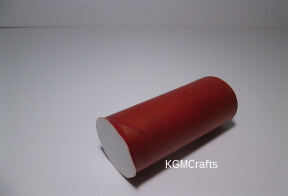 When the pot is drying, some of the glue should roll down the cardboard roll and onto the paper plate. 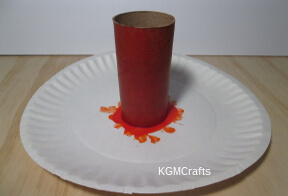 After it dries, don't remove the cardboard roll from the paper plate. 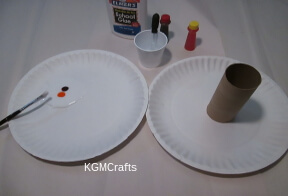 Instead, cut around the cardboard roll so that a piece of the paper plate covers one of the openings. Put your scroll inside the pot. The Protestant Bible has 66 books, the Old Testament has 39 books and the New Testament has 27 books. 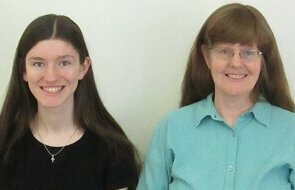 Genesis, Exodus, Leviticus.... How can the kids remember them all! Without looking at the table of contents in the front of the book and text so small, how is it possible? Here's something with lager text. Soon the kids will remember all the names of the books. Take two pieces of paper and fold them in half and make a book. On the outside with foam letters write “Books of the Bible”. This will be the cover. Note: whenever you write, you will use foam letters. On the first page write “Old Testament”. Under it start writing the first 12 books. Note: instead of writing the full names of the Bible, you can write the book's abbreviations. On the second page, write the next 9 books. On the third page write the last books of the Old Testament. On the fourth page write “New Testament”. Then print the first 7 books. On the fifth page write the next 10 books of the New Testament. On the sixth page write the names of the last books. Staple the pages together on the fold. 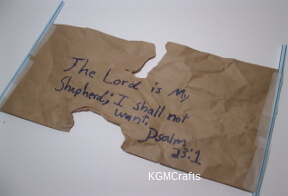 What will they learn from the Bible crafts for kids they are creating today? Let's get out the Bible and read the Scriptures behind each craft. To find more activities to do click a picture. From a basket, to crossing the parted Red Sea, to when God gave him the Ten Commandments to read. 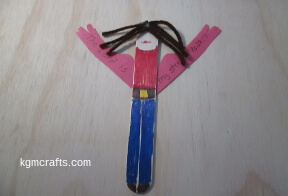 Have the kids make crafts to remember the Moses story. A big strong dude. What couldn't he do? A girl named Deborah was she friend or foe? 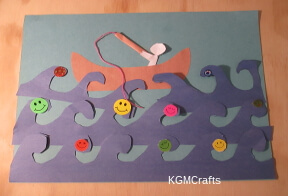 Read the passage about Samson and have your kids make the Bible crafts for kids to find out. The spies from the 12 tribes of Israel, what did they see? Something large and something good to eat. 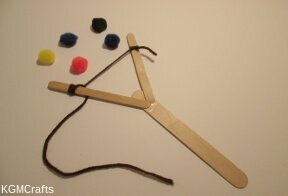 Fun things to make so you will remember the story of the 12 spies. Easter is an important holiday for Christians. 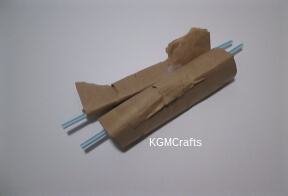 Kids can make a palm leaf, different crosses, and empty tombs. 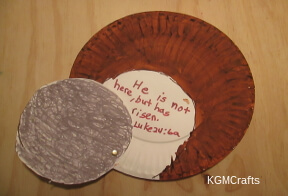 The Easter projects can be made at home or church. 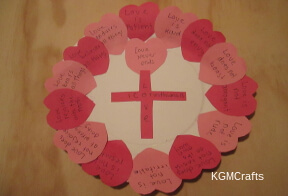 Celebrate February 14 or learn about some love verses with these Valentine crafts. God created the heavens and earth. 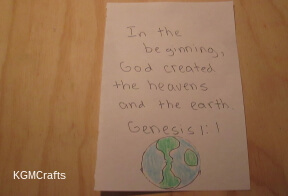 Kids can make crafts to represent each day of creation or they can do an overview book. Jesus told Simon and Andrew that he would make them fishers of men. 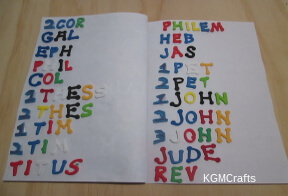 Here are some Bible crafts for kids to help your kids remember the verse. David had an interesting life. He was a shepherd who became king of Israel. 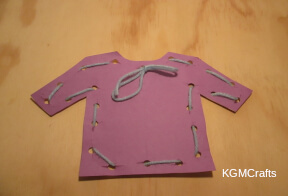 Make crafts to represent the milestones in his life. In Acts 9:36-42 we read about a woman who did nice things for widows. Here are some crafts to remember her by. So many interesting stories and facts to remember. 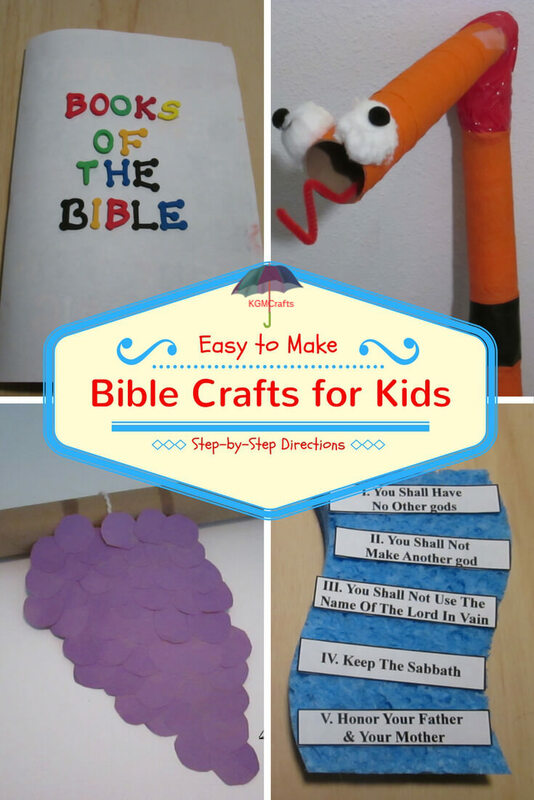 Bible crafts for kids are a fun way children can learn by doing.